3- Visitors are requested to dress modestly, which means no shorts, tank tops or mini skirts. In particular women should wear long bottoms as well a head scarf (there are scarfs there if you don’t have one). 4 –You cannot wear shoes inside, so try not to bring your boots that take an eternity to get on in the morning. Expect smell like feet inside. 5 –Women are not allowed in some places inside. That’s just the way it is. 6 – Finally, try to talk softly. Respect the prayers!!! The Rüstem Pasha Mosque was designed by Ottoman imperial architect Mimar Sinan for the grand vizier Rüstem Pasha (the husband of one of the daughters of Suleiman the Magnificent by Hürrem Sultan (Roxelana), Mihrimah Sultan). Rüstem Pasha died in July 1561 and the mosque was built after his death from around 1561 until 1563. The mosque complex hosts now a religious school. The Süleymaniye Mosque, built on the order of Sultan Süleyman (Süleyman the Magnificent), “was fortunate to be able to draw on the talents of the architectural genius of Mimar Sinan” (481 Traditions and Encounters: Brief Global History). The construction work began in 1550 and the mosque was finished in 1557. The Mihrimah Sultan Mosque (Turkish: ‘Mihrimah Sultan Camii’) is an Ottoman mosque located in the Edirnekapı neighborhood near the Byzantine land walls of Istanbul, Turkey. Located on the peak of the Sixth Hill near the highest point of the city, the mosque is a prominent landmark in Istanbul. The Eyüp Sultan Mosque (Turkish: Eyüp Sultan Camii) is situated in the Eyüp district of Istanbul, outside the city walls near the Golden Horn. The present building dates from the beginning of the 19th century. 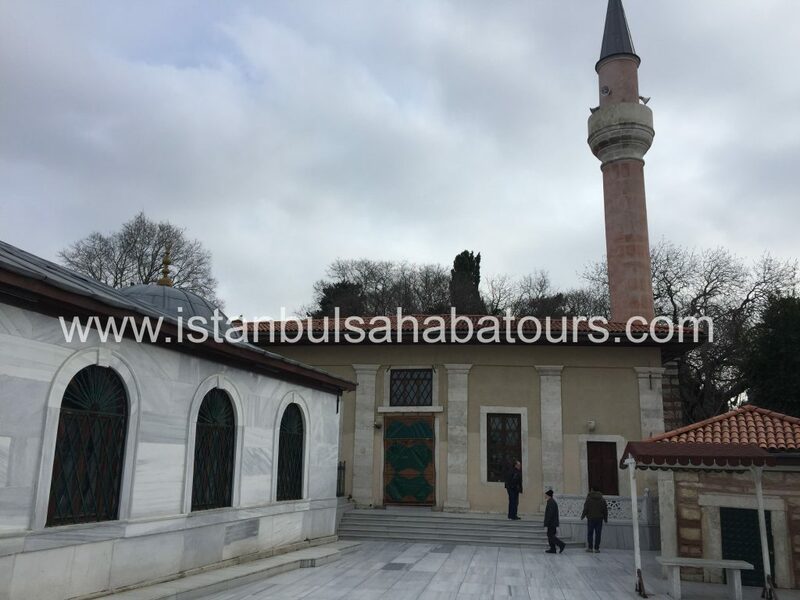 The mosque complex includes a mausoleum marking the spot where Eyüp (Job) al-Ansari, the standard-bearer and friend of the Islamic prophet Muhammad, is said to have been buried. The Şehzade Mosque (Turkish: ‘Şehzade Camii’) is a 16th-century Ottoman imperial mosque located in the district of Fatih, on the third hill of Istanbul, Turkey. It was commissioned by Suleiman the Magnificent as a memorial to his son Şehzade Mehmed who died in 1543. It is sometimes referred to as the “Prince’s Mosque” in English. The Fatih Mosque (Turkish: Fatih Camii, “Conqueror’s Mosque” in English) is an Ottoman imperial mosque located in the Fatih district of Istanbul, Turkey. It was one of the largest examples of Turkish-Islamic architecture in Istanbul and represented an important stage in the development of classic Turkish architecture. It is named after Ottoman sultan Mehmed the Conqueror, known in Turkish as Fatih Sultan Mehmed, the Ottoman sultan who conquered Constantinople in 1453. The Kılıç Ali Pasha Complex (Turkish: Kılıç Ali Paşa Külliyesi) is a group of buildings designed and built between 1580 and 1587 by Mimar Sinan, who at the time was in his 90s. The mosque itself was constructed in 1578-1580. It is located in the Tophane neighbourhood of the Beyoğlu district of Istanbul, Turkey. It is named after Kılıç Ali Pasha. 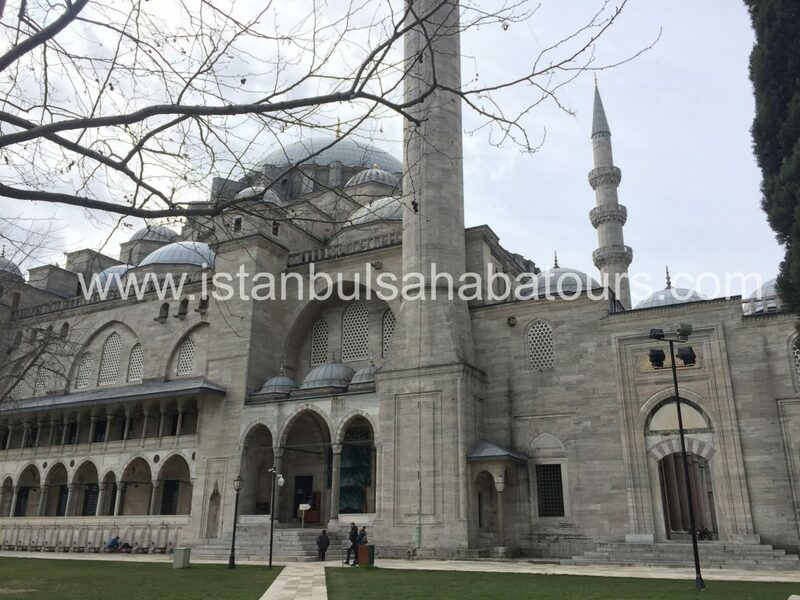 The mosque was designed by Ottoman imperial architect Mimar Sinan for the grand vizier Sokollu Mehmet Pasha (the husband of one of the granddaughters of Sultan Suleiman the Magnificent, Princess Esmahan). According to the foundation inscription, the building was completed in AH 979 (1571/72 CE). The mosque is officially named after Princess Esmahan, but is more commonly known for its association with her far more famous husband. This is a group tour that organised on request. Tour includes Private minivan & Guidance.